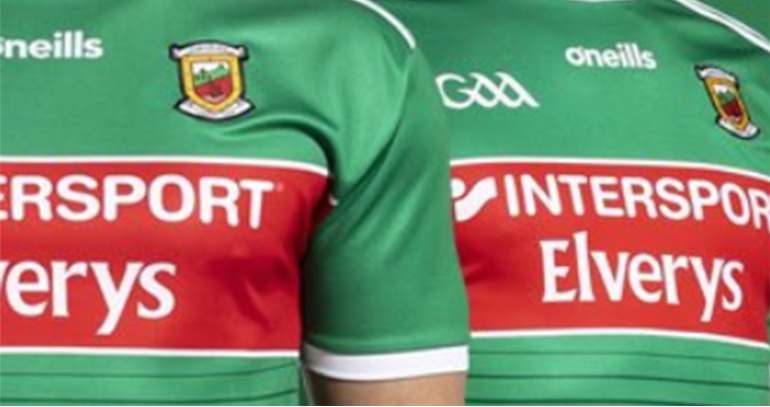 Mayo (NFL Division One v Monaghan, 24/3/2019): David Clarke (Ballina Stephenites); Stephen Coen (Hollymount/Carramore), Brendan Harrison (Aghamore), Eoin O’Donoghue (Belmullet); Paddy Durcan (Castlebar Mitchels), Michael Plunkett (Ballintubber), James McCormack (Claremorris); Matthew Ruane (Breaffy), Aidan O’Shea (Breaffy); Fergal Boland (Aghamore), Jason Doherty (Burrishoole), Diarmuid O’Connor (Ballintubber, captain); Kevin McLoughlin (Knockmore), Darren Coen (Hollymount/Carramore), Conor Diskin (Claremorris). So it’s another slew of changes – six in total – from the last game. In come Eoin O’Donoghue, Paddy Durcan, James McCormack (making his full competitive debut), Fergal Boland, Darren Coen and Conor Diskin while out go Chris Barrett, Keith Higgins, Donal Vaughan, Fionn McDonagh, Conor Loftus and James Durcan. Our most recent meeting with Monaghan was right at the start of last year’s League campaign, where we edged them out by just a single point. The team named for Sunday contains eight survivors from the one that lined out that January day at St Tiernach’s Park in Clones. David Clarke, Brendan Harrison, Eoin O’Donoghue, Paddy Durcan, Stephen Coen, Aidan O’Shea, Kevin McLoughlin and Diarmuid O’Connor, who are all named in the team for Sunday, also started for us then. 6 changes! A lot of new faces on that team. Don’t think Horan is too bothered about a league final but saying that it would be great to win with such a young team. Great to see o’donuhue and diskin back. Loving the team though and bench possibilities. Exciting. In my opinion JH is being extremely clever and creating real competition in that panel, he is building a large panel of 30 plus guys and he is building to a point where most if not all of them could fit in the first 15 , me likes what is starting to emerge with this panel of mayo men!! Hon mayo ! Very exciting team delighted to see ! 🙂 🙂 best of luck to all ! Delighted with that team. Full forward line has serious potential, great to see Boland and o Donoughue get a start too . Great to see two big target men Darren Coen and Diskin in the Full forward with the livewire Kevin McLoughlin and the Mayo bench can now boast 2 player of the years Leeroy and Andy and 2 4 time All star defenders Zippy and Boyler.looking at team selections over the filull league campaign now JH is really using his head and creating big hunger for places unlike Rochy who usually picked the same 16 or 17 for every game and had no bench when it mattered. Slightly disappointed. No NEW faces: e.g. Slingerman, Cathal Horan, Cillian ( not new but has had no league game time), O’ Donoghue. Still, looking forward, though not a team, on paper, that will beat Monaghan. I think Horan is using the league brilliantly to give the new/fringe players a good run. Although 6 changes I feel this team is as strong as the team that beat Kerry and with a the same desire and a little luck, next week we could be having a crack at winning a league final. Suffering jaysus .. theres always one ..
Good to see that a win over Kerry is followed by six changes. We need more options if we can get to September football. Shame about Slingerman. Would have loved to see him start. JH is really mixing it up and has been very positive with same across the league. Full credit due. @Catcol, I don’t agree with your comments re no NEW faces….we’ve multiple all-star goalie starting and Rob H (I assume on bench) both great options. Zero point in playing COC, we all know what he can do and no point in playing him in the last league game if not fit. It’s another strong positive team selection and the bench will be interesting. Planning for a win and a league final all going well. Great to see a proper panel developing. Regardless of the weekends results I think this has been a fantastic league campaign. We’ve a very probable 3 new championship starters in Ruane, Plunkett and McDonagh. That’s going to leave some serious firepower on the bench and Cillian to come back also. I do agree with Catcol though regarding the new faces, we should do a “Voice” like reveal 15 minute before throw in with some random lad unveiled to the crowd, be a bonus if he’s actually a footballer. Nice team and impressive bench. Can easily pick another 15 not starting who would make an impressive team. Good to see. Well done all for the work over the last few months. Come to think of it, I remember that a lot of young guns finished the game against Donegal in last year’s League and contributed with gusto to it. Hearty good luck to all! I wonder what is the average age of that team, really good to continue to try different players. There is a good mix of new and experienced players, with experienced players to bring on who could help us close out the game if it in the balance going into the last 15 minutes or so. Either way, great test as Monaghan should be really up for the game, nothing beats competitive matches to test if players are ready to step up. JH must have started close to 30 players over the 7 matches, great to see and should help build a solid foundation for the next few years. Really excited to see Diskin and O’Donoghue back in the side. Like the look of this team and strong bench. Looking forward to Sunday. Glad to see diskin back, I thought Doherty did well at full forward last weekend but could be equally effective at chf. Coen better temperament than Reape, so deserves to start imo, interesting to see if he has progressed…. Far from Mayo’s strongest team in what was meant to be important game? team selected confirms that Horan cares less about a final as he continues to experiment. Mikey – I just did a headcount now and for the six games so far we have started 29 players. If James McCormack lines out on Sunday it’ll be 30 different starters over the seven games. Two whole teams. Sinead37 – good spot re the date! Thanks for pointing it out, I’ve corrected it now. Fair play to James, great selection!. This league final is turning into a bit of brexit on here, alot for and alot against it. Im certainly in the against camp. If we get there, grand, but the emphasis should be on developing the panel and giving lads a chance. JH seems to think the same, no point going gung ho for a meaningless competition, (yes its meaningless unless your from Roscommon, who really value the div 2 cup they won) with your strongest 15, and lots of players untested come the real competition. Expecting a monaghan win because they have to be far more hungrier for this one. Boland and Coen need big games here, lets hope they take the chance. Delighted with this selection. Team will not beat Monaghan but more importantly additional players being given the opportunity to gain experience in playing at this level against a top team who are desperate for a win. Great to see O’Donoghue, McCormack and Diskin getting a start – long overdue. I’ll throw in a potential 3rd team while your at it Highking! Just goes to show some of the talent in the fringes at the moment. Love the psychology being deployed. Yes, not the most formidable lineup to start but a continuation of the plan. There’ll be no let down in intensity or desire with this group —not worried about that. Let’s also state the obvious. Monaghan is no offensive machine, and the game will still be in doubt when we bring in the likes of Lee, Andy, Zippy +++ to close it out. MayoDunphy – The league is the 8 best teams in the country competing against each other and you think it’s a meaningless competition? Don’t understand how people are so dismissive of it. What’s the point playing intercounty football if you’re not going out to win trophies? Getting to the final is out of our hands but it would be disappointing to finish the league with a defeat. James Horan should be going gung ho to win the league and I believe he is, but with some younger players involved, as it should be. Some people are guessing we might have found 2 or 3 starters this winter for the championship. With possibly 2 league games to go it could be more than 3, fingers crossed. There are really only 2 national inter county titles up for grabs each year. Imagine the injection of confidence it would be if we could somehow win it considering all the experimentation. Someone said there were outsiders writing this Mayo team off 9 months ago. I would say there were outsiders and insiders writing off this team 9 days ago until the Kerry revival. I have 2 wishes for Sunday. We win and Monaghan survive. Happy with that team. I said earlier in the week that I hoped to see some of the younger guys getting a shot and a fair number of them are. Will they beat Monaghan? I think they have a fair chance, maybe more than fair and I think Tyrone will beat Galway which will put us into the final. I think that Kerry may be a different proposition there but so may Mayo be. Good luck to the cailíni v Cork earlier and I hope to see a good attendance to support them. If I ever catch a Leprechaun and I am granted 3 wishes …my last wish, will be that Mayo will win this year’s All Ireland Final… I won’t tell ye my first wish, none of yer business, but I will tell ye what my second wish will be….. Of course, I know some of ye guessed it… It’s that I will catch another Leprechaun! Surely the point is that we can make a final, that this is actually a big game, at home in front of a big crowd, so therefor a wonderful chance to see how some of the young lads perform against a very tough, seasoned side? Anyone underestimating the importance of the league need only look at the top 4 teams in the league last year. They were the 4 semi finalists in the AI last year also. So it’s a great indicator of teams in form. Really like the team as selected for Sunday. It’s a great opportunity for the newbies to stake a claim. Really hope we make it to the league final and win the bloody thing. Can’t understand people not bothered about the league. Ok we all want to win Sam above everything but if it were Galway, Kerry, or Dublin they would be going all out to win and be confident of doing so….that’s the mentality of winners and that’s what we need. Derry were Div1 finalists in 2014, how did that go for their confidence………? I have to laugh at some of those names on the alternatives on the B team, there at least 5 / 6 guys that will be the main men for the championship on the A team, when the going get tough. League final or no league final, we are all looking to see new blood this year, so far its working well. Ruane at midfield is a completely different player to the one I witnessed in Tuam Stadium 2 years ago in the u21 Connacht semi final v Galway, he is on line to be Mayo’s best player of this league, surely Horan deserves most of the credit for this. Personally I would like to see Mayo in the league final and win it, nothing better for the fringe players than games in Croker, can’t compare a game in wet / windy / heavy conditions in Castlebar or Tralee than a Summers day in Croker, ground / ball much faster, this is why we need very fast men in the fullback line. This in one conundrum than nobody appears to have an answer for, here goes. Kerry and the Dubs are the top dogs as league titles are concerned, similar to All Ireland titles, Mayo have 11 league titles and are 3rd in line, same should apply to All Ireland titles, but we know otherwise. I was at the league finals on 01, 07, 11 and 12, while the 2001 final v Galway was very good, a tight win was achieved, the other 3 finals were very poor, Mayo lost to a very average Donegal side back in 07, did great to beat Kerry in the semi final of 2012 but were poor v Cork in both finals. With no Dublin this year very possible, Kerry / Galway or Mayo can win the final. Dublin have also been to league finals and we’ve see what their confudence is like. Picking Derry as an example of a team to reach a league final and relating that to their current state is a bit redundant. Any number of factors can have led to this. I mean Donegal won an all Ireland recent enough and are in Div 2 now. Did winning the All Ireland lead to a lack of confidence and their demise to Div 2. Don’t think so. Derry are not in Div 1 because they are not a very good team. Nothing to do with reaching a league final on 2014. Glad with the selection, especially Darren Coen who looked to have a good football brain in the midst of a bad 1st half v Galway. Also Eoin OD who was our find of the year last year. If he returns flying it frees Zippy to play another role. One player I don’t think will start is Clarke who hobbled off the last day. If Slingerman is in panel I wouldn’t be against giving him a chance. As for league final, I’m in the yes camp but I can see Horan’s logic. If the game is there for the taking he can bring in lads with buckets of big game experience. Kevin Mc can help the rookies tick in the forwards. Boland deserves a chance the way he went for a jersey vs Kerry, but we’ll have no left footed players in HF line so I expect McDonagh may come on later. If we make league final it’s bonus territory for trying out more players. Derry in 2014 is one example. You could argue that we’ve carried our poor league form into the Connacht Championship for the last few years. Galway made a league final last year and continued that form into the championship. It may be unfair to compare our situation to Dublin, but their success has always been built around winning every game in league or championship. Anyway, even if it means nothing come summer I would love to win it. I think it could be a massive confidence booster that Horan could use for the next few years. I don’t know what the argument is about here. It’s not unreasonable to say that winning the league would be great but it’s not a priority, giving game time to new players is. We’re probably getting a bit ahead of ourselves tho, Monaghan are coming to Castlebar knowing they need a win to garuntee safety, generally when a good team needs a result in division 1, they get it, no more than ourselves last year. I hope that diskin or Coen can really impress tomorrow, while some new players have shown well a scoring corner forward hasn’t really appeared yet. Reape was good at the start of the league but seems to have fallen out of favor, james Duran isn’t a corner forward and Evan Regan has had on going injury problems. Team selection everyone seems happy about , I’d prefer to see Lee start , he’s not firing on all cylinders and we need him to be . Furthermore a league final in croker would be great for him ,just feel he needs something to get in the zone. I’d also like to have seen Brian reape . Hopefully both are subs and get a run. So the comments 2 weeks ago that we would not see Diakin in a mayo jersey again this year turned out to be completely false. Sure your boss might tell ya if ya miss another Monday hell run ya but he never does if you’re decent at whatever you do. Diskin totally deserves his start now, his physicality and speed will be well needed against such a teak tough Monaghan fb line. Im expecting Monaghan to win, as we are relatively poor at home, and they badly need the win. Monaghan by 2. Revellino, I just dont place the importance on league as others do. For me, its about survival and finding new players. JH has achieved that with ease, and no matter what happens tommorow, id give him 10/10 for the way he handled this league. I think theirs no harm giving Lee a rest, hes the best player we ever had, and he’ll be boiling nicely come summer and the first name on a championship team sheet. For years we’ve complained about no youth coming through, now we have it, finally we’ve a chance to be resting senior lads (like dublin do) while also prepping the likes of McCormack and Plunkett for tge future. We’re in a great position long term imo. If we win tommorow and contest the final then great, if we win the final, the yerra mafia (and kevin walsh) will blow us up to the hilt as the only challengers to Dublin, that in itself is a type of pressure we could do witbout. I’d like us to go about our business quietly and hit the rossies and galway like a train, when it matters. Fake news, Dave, who’d have thunk it, eh? I’m continually amazed at the motivation of people to post horseshit stories about players. I do what I can to staunch the flow here but it’s impossible to keep it all out. I agree MayDunphy that survival.is the most important objective. I would love us to make the final and get another chance for James to develope the young lads a bit more. I think it’s a strong team and games are won nowadays by bench players. There is no doubt in my mind Horan is playing to win. What a confidence booster it would be to win the league or alternatively get back in croke park for another outing. We need big games!!! As WJ has pointed out, Horan has done excellent job in giving meaningful opportunities to new boys. I think I would prefer to see Durcan in centre flanked by Plunkett and McCormack – good luck to him. Monaghan have been ott in their aggression last two league games , I expect that to be even moreso tomorrow with what’s at stake for them could work against them if ref plays well. Looks like the Castlebar weather will be decent tomorrow. 10 degrees Celsius, dry and no status yellow wind warning! Can’t make it tomorrow, anyone know of any live streams??! A great chance for lads to stake a claim to a jersey in what will be a real battle. Monaghan are facing relegation and will go all out to stay in div 1. This will be the nearest thing to championship football these lads will get before summer. Good luck to them and hopefully we get to see a couple of new future stars. Good luck to the team, management and all supporters travelling today. On the train from Dublin to Castlebar. Glorious morning….so far! Is this the youngest team we have ever togged for a league match in the post 2010 era? Only two outfield players are U30 age group. A lot of players u24.